Hola a tod @ s! 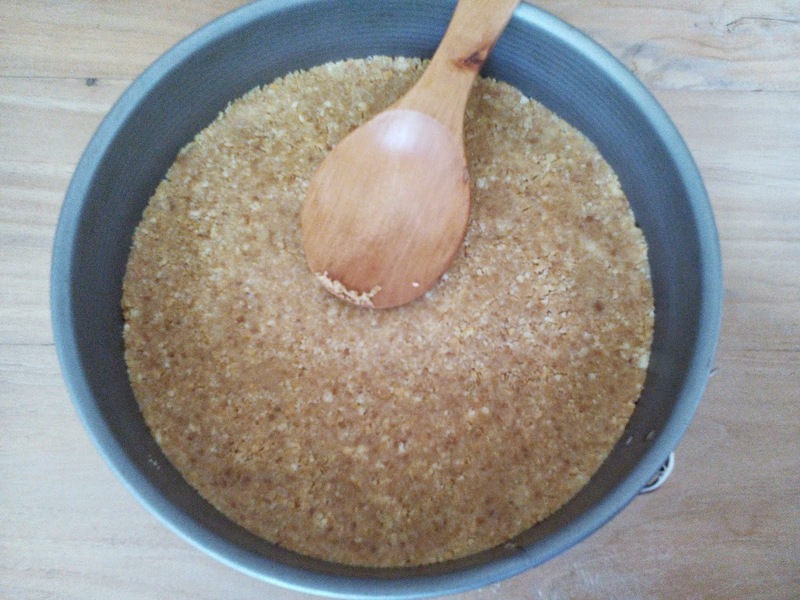 Siempre me han gustado las tartas de queso y por fin encontré una receta (hay miles!) que me pareció sencilla y rápida, y el resultado delicioso. Esta receta que enseño corresponde al blog 'pasen y degusten': el blog de Maria José, en el que podréis encontrar deliciosas ideas como ésta y donde casi-casi se puede sentir el olor a 'recién hecho'. Aquí os dejo el enlace hacia su blog donde la encontraréis. Al final ha sido todo un éxito! 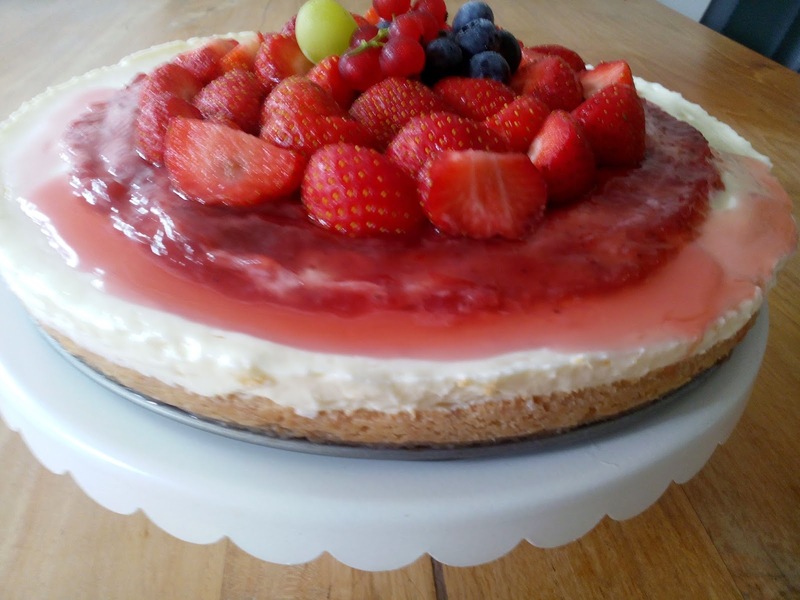 I´ve always liked the cheescakes and finally I found one nice recipe that I thought it was easy, fresh and....delicious!! 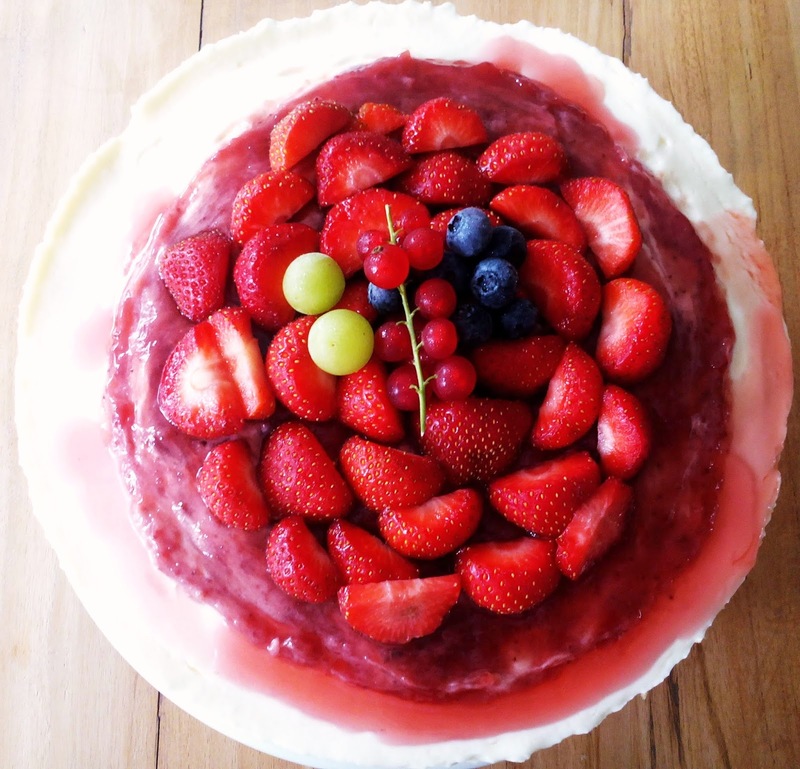 This recipe belongs to the blog 'pasen y degusten': Maria Jose´s blog, where you can find delicious ideas like this one and where you can almost feel the nice smell of the cakes and much more. 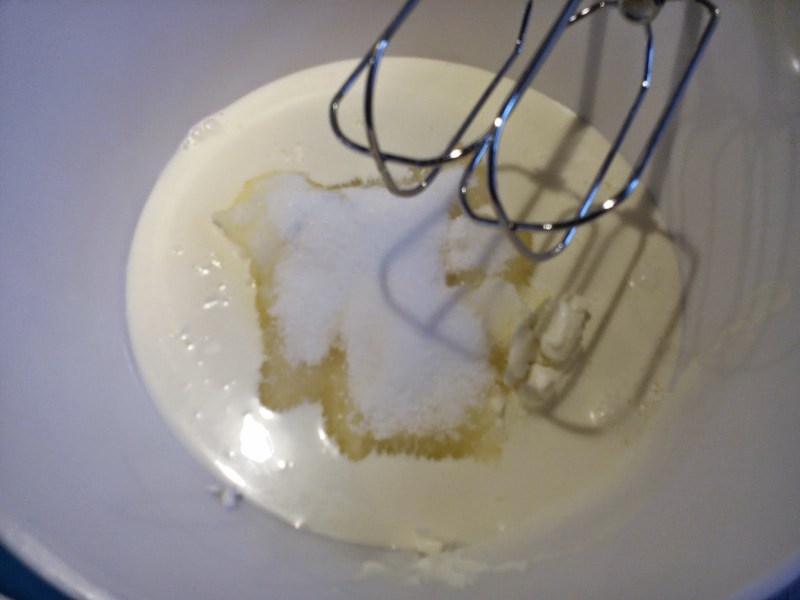 First we cruch the biscuits with the food processor and then add the butter until is well combined. Spread and press the biscuit mixture firmly over the base and side of the mold. This can be done using a spoon. Place the biscuit mixture in the oven during 10 minutes at 180 ºC, then let it cool down, but you can also cover it with plastic and place it in the fridge during 30 minutes. 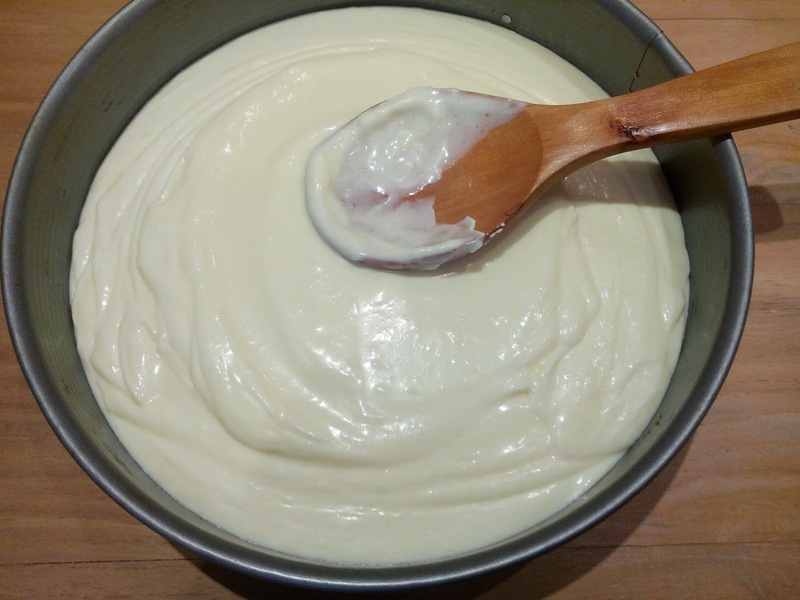 Mix the cheese, the cream and sugar with a mixer until is well mixed (3 minutes more or less). 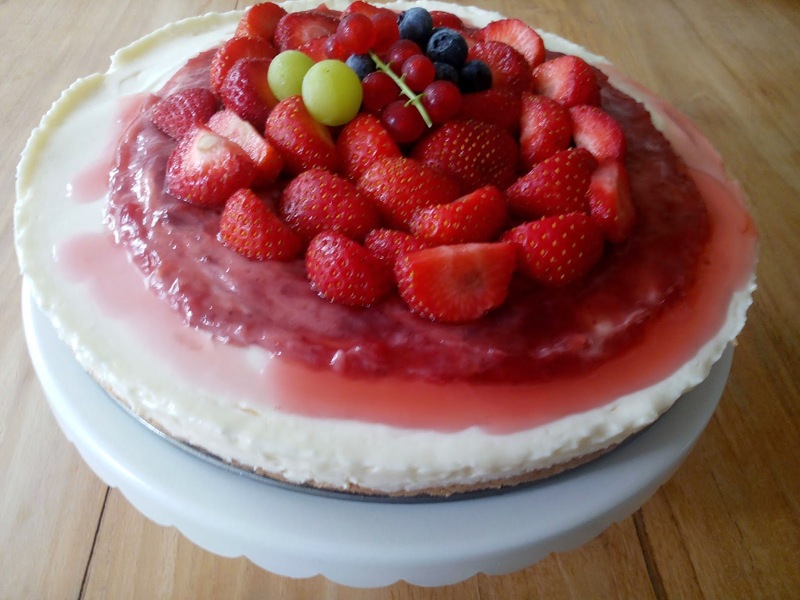 I just used the seasonal fruits (red fruits) to decorate it and bit of jam, but you can use your imagination here...it´s already delicious without decoration. You can find the link to the original recipe here. Have a good day and enjoy the rest of the week! Gracias por tus comentarios/ Thanks for your comments. 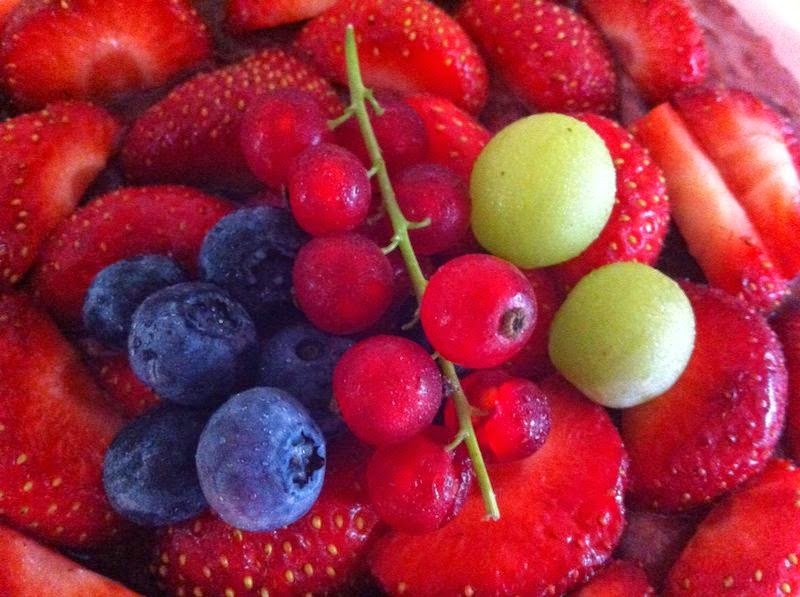 Follow The good taste's board Homemade desserts from The Good Taste. Postres caseros The Good Taste on Pinterest. Pastel de Zanahoria/ Carrot Cake! !